Offshoots 12 represents the work of sixty-two authors from six continents and mirrors the multi-cultural flavor of the Geneva Writers’ Group. The writing is as diverse as the group—with stories and poems from Vietnam to Venezuela, Iraq to Italy and places in between. Reflections is writing that resonates. Through the written word, we glimpse ourselves and understand more fully what it means to be human. While the details presented are unique, the experiences and emotions are universal—hurt, grief, loneliness, rejection, tenderness, amusement and delight. Whether the piece is about parenting, aging, relationships, transitions, or a mother’s love, there is a watershed moment when we see the world differently. We are moved to a new reality. We make a new connection. Later, we may reflect on that story, that poem, that line. 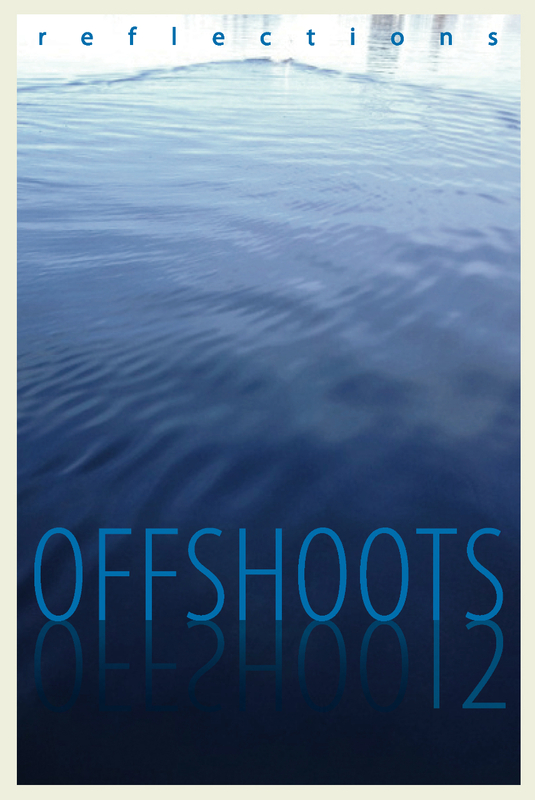 It has been a distinct honor and privilege to edit Offshoots 12 on the 20th anniversary of the Geneva Writers’ Group. I am grateful to have worked with a stellar team who gave tirelessly of their time and talents; Katie Hayoz, a novelist, fiction writer, and editor; Mary Scheurer, a teacher, poet and short-story writer and Sue Niewiarowski, a graphic designer, poet and artist. I thank each one of them for their dedication, professionalism, passion, and the joy they brought to this endeavor. I am grateful to the GWG members who shared their inspiring poetry and prose. I am also grateful to my husband and three daughters for their loving support and encouragement throughout this project. Many thanks to Margot Hendry and Sofie Herbeck for proofreading. And finally, an enormous hug of appreciation to Susan Tiberghien, for tilling the soil of this fine literary garden where writers thrive. It is my hope that you will relate to these authors’ words, that a piece may resonate and become more than something read. That these words may become something we experience, a part of us.